Another release, or set of releases, which has taken me by surprise! Not because I'd forgotten about them, far from it; no, just that the first inkling I had of their release came late last night in a tweet form Fantom Films. Herbert George Wells was a novelist, teacher, historian and journalist, who has become known as the “father of science fiction.” His works have been adapted countless times, and provided the basis for many literary and theatrical productions. A Victorian scientist known only as the Time Traveller creates a machine capable of moving through the fourth dimension. Using it, he is transported to the year 802,701 and thrown into a life and death adventure with the fearsome Morlocks. As a result of an accident with an experiment, two unlikely friends are propelled on a journey to the moon. But a whole new universe of terrors await them there, including the insectoid Selenites. Will they be able to overcome these perils, and find a safe way home? A collection of twelve short stories and the transcript of a dream. Included in this collection are Filmer, The Magic Shop, The Valley of Spiders, The Truth About Pyecraft, Mr Skelmersdale in Fairyland, The Inexperienced Ghost, Jimmy Goggles the God, The New Accelerator, Mr Ledbetter’s Vacation, The Stolen Body, Mr Brishner’s Treasure, Miss Winchelsea’s Heart and A Dream of Armageddon. A collection of eight short stories exploring science fiction and fantasy themes. Included in this collection are A Door in the Wall, The Star, A Dream of Armageddon, The Cone, A Moonlight Fable, The Diamond Maker, The Lord of the Dynamos and The Country of the Blind. 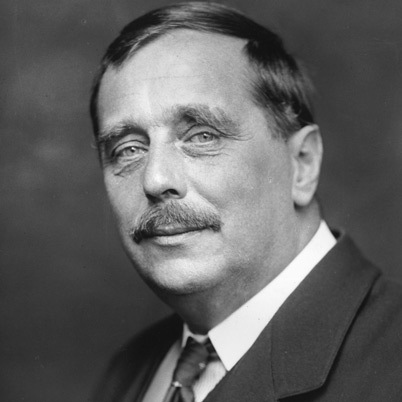 I was thrilled and flattered to be asked to record these HG Wells stories. 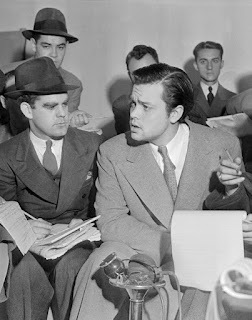 The longer novels were already familiar to me, having seen a number of versions made for television or the cinema; not to mention the legendary Mercury Theatre radio adaptation of 'The War of The Worlds', famously devised and directed by Orson Welles, which allegedly caused mass panic in the USA when it was first broadcast by CBS in 1938. I confess to never having read the original books and I certainly didn't know the short stories. However familiar these stories might at first appear, I hope, should you listen to any of them, that you will discover new and unexpected aspects to each narrative. In their differing ways, each one of these novels and short stories revealed something new to me and I was regularly surprised as to how Wells articulated his highly original and profoundly influential ideas.